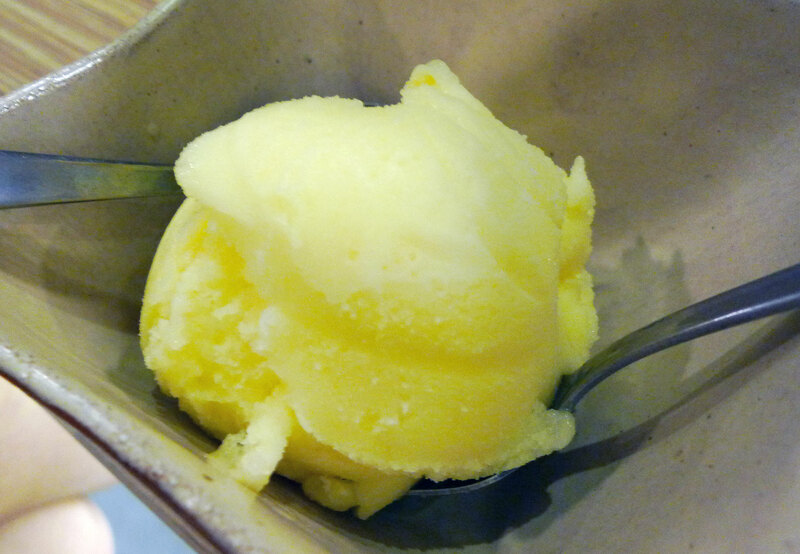 This warm appetizer is built on a base of Mizuno greens which looks very similar to rocket but has a milder taste. 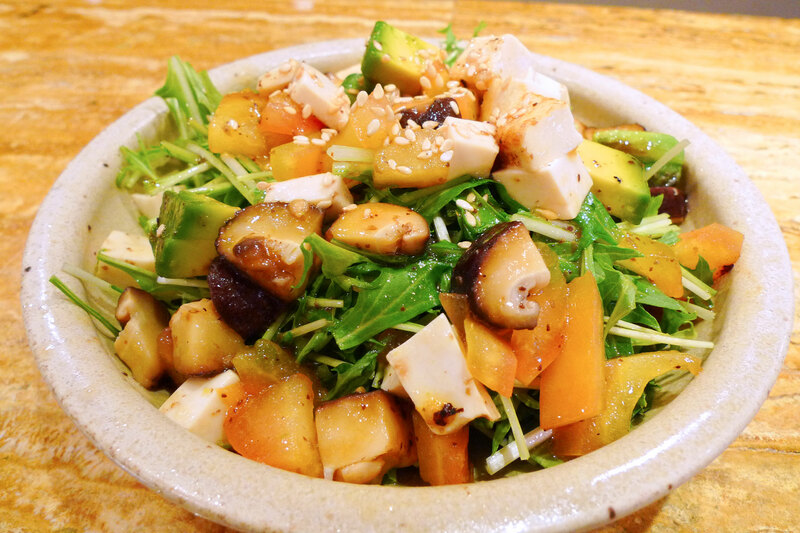 Rounding it up is a mix of toppings – tomatoes, tofu, avocado, pan-fried shiitake mushrooms and sesame seeds. 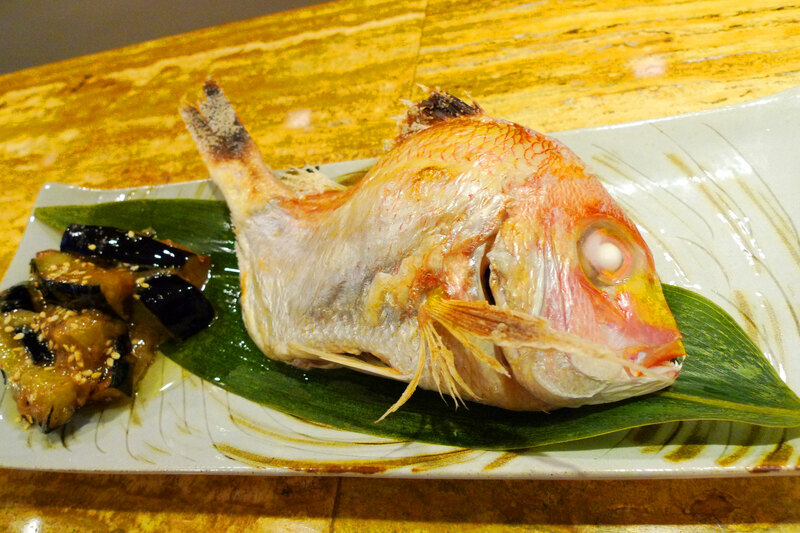 Kodai is a kind of sea bream, normally caught at the start for the year for New Year eating. Its body was contorted into an S-shape by skewering it, gives the impression of leaping 😀 Sides was stewed miso eggplant, very very soft and tasty! 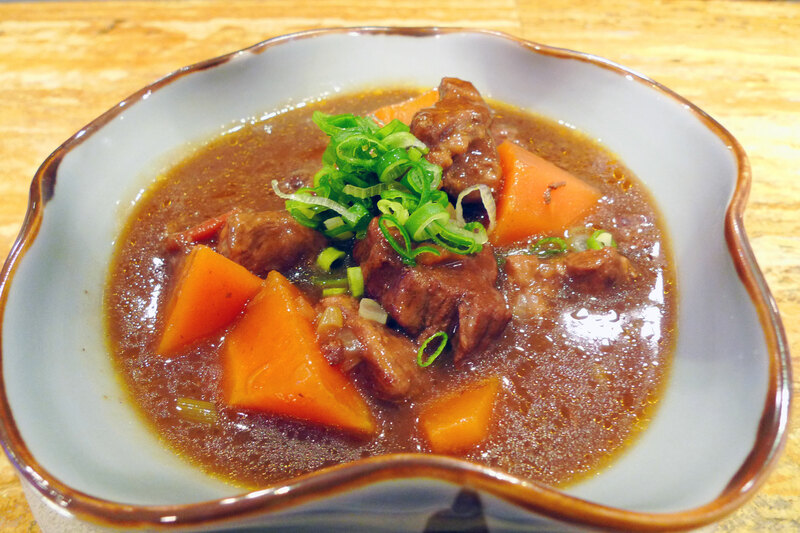 This is the usual beef stew that you would make at home with carrots and onions, etc but the special thing here was the beef used. 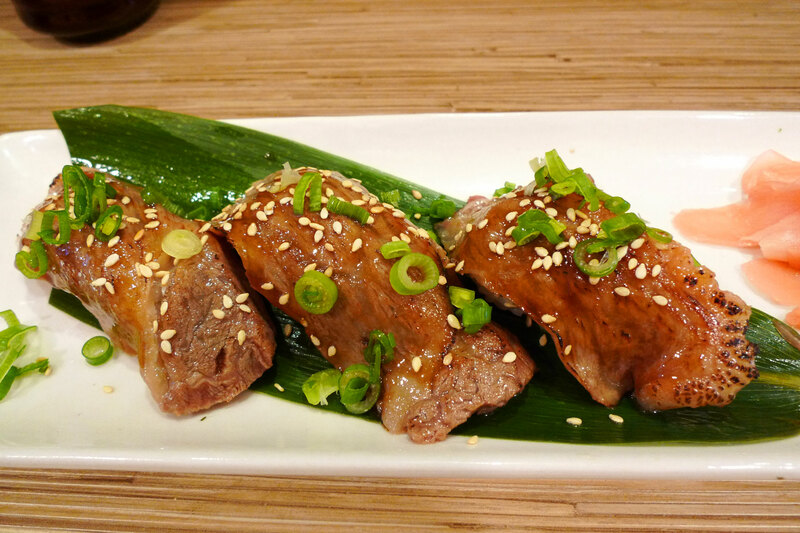 It is just 1 grade below wagyu so when it was stewed for about 2 hours, the beef becomes super tender and just falls apart in your mouth even without chewing. Superb stuff, and the soup was very rich as well. 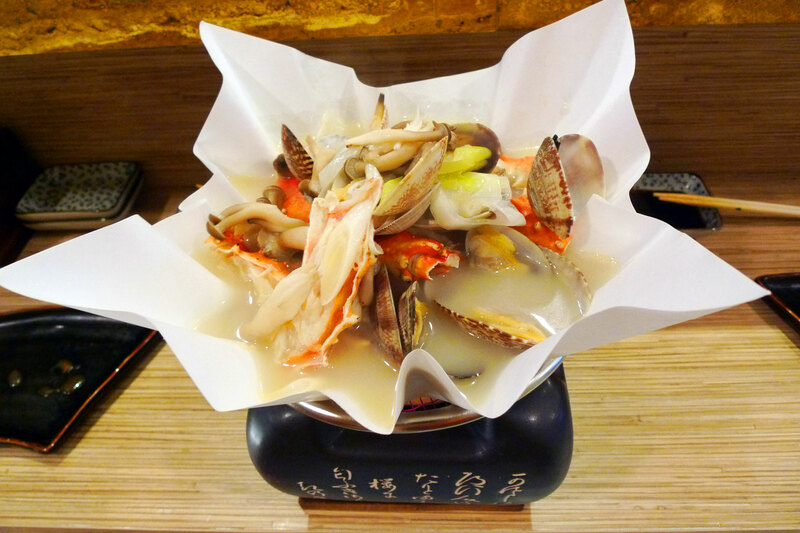 Seafood hotpot! Manila clams, Alaskan king crab, enoki mushrooms and tofu. The soup was something reminiscent of the kind we get in fish soup beehoon but this was much tastier since it was boiled with the clams and crab. There was also a strong hint of ginger, not to hide the fishy taste but instead to complement and bring out the seafood tastes. At the bottom was thin udon to finish up with the soup. This was my favourite part of the omakase, succulent seared wagyu beef on sushi rice. The marbled fats in the beef came out nice and juicy and gave it an explosion of taste when I chomped down on them. 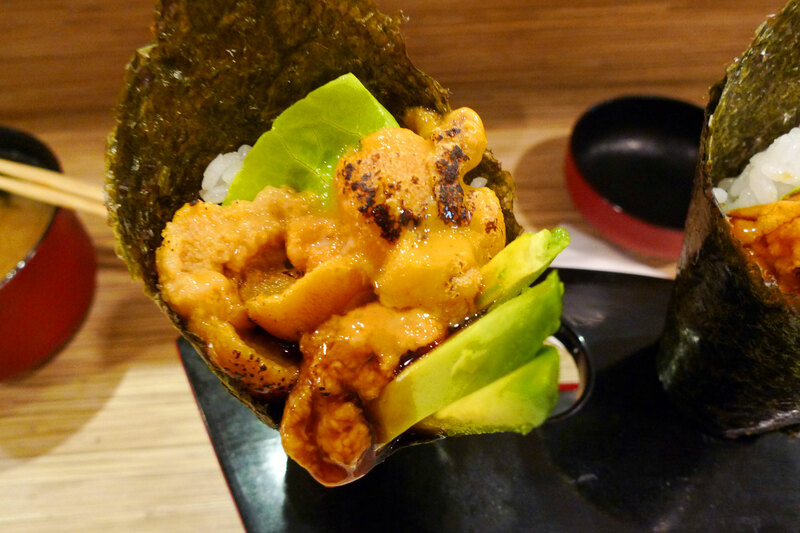 6 Responses to "February Omakase"
aburi creamy uni + creamy avocado… I’m getting hungry just saying it. 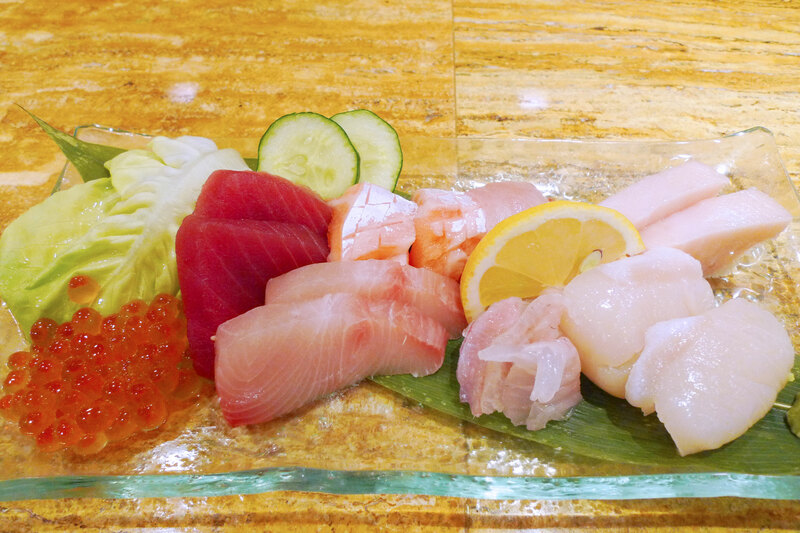 your omakase seems to be getting better each time. you must be SBB’s no. 1 loyal customer. Haha yeah that was really nice and creamy in the mouth mmmm 😀 But the best was really the aburi beef sushi, that grilled fatty taste yum yum! I’ve never been inclined to go SBB until this post of yours! I’m impressed now haha.